Discover Aly Raisman’s inspiring story of dedication, perseverance, and learning to think positive even in the toughest times on her path to gold medal success in two Olympic Games—and beyond. Aly Raisman first stepped onto a gymnastics mat as a toddler in a “mommy and me” gymnastics class. No one could have predicted then that sixteen years later, she would be standing on an Olympic podium, having achieved her dreams. But it wasn’t an easy road to success. Aly faced obstacle after obstacle, including naysayers who claimed that she didn’t have the talent to compete at an elite level and classmates who shamed Aly for her athletic body. Through it all, Aly surrounded herself with supportive family, friends, and teammates and found the inner strength to believe in herself and prove her doubters wrong. 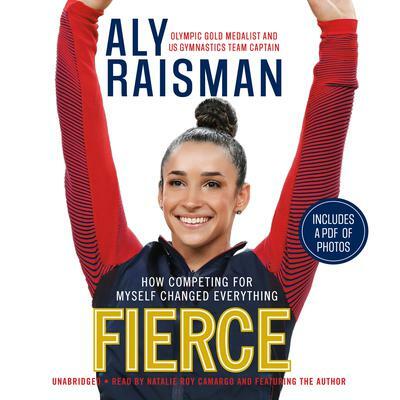 In her own words, Aly shows what it takes to be a champion on and off the floor, and takes readers on a behind-the-scenes journey before, during, and after her remarkable achievements in two Olympic Games—through her highest highs, lowest lows, and all the moments in between. Aly Raisman is a gold-medal-winning Olympic gymnast who captained the US team to victories in 2012 and 2016. She has won six Olympic medals overall and was a member of two gold-medal-winning world championships teams. Tracing her love for the sport back to a “mommy & me” gymnastics class she took as an eighteen-month-old, she is a leader on and off the floor and a fierce advocate for body positivity.